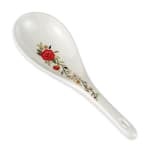 The GET KT-101-CG Garden™ rice ladle has an intricate floral design that fits into rustic and natural décors. It has a 2-ounce capacity that provides portion control while serving different types of rice. 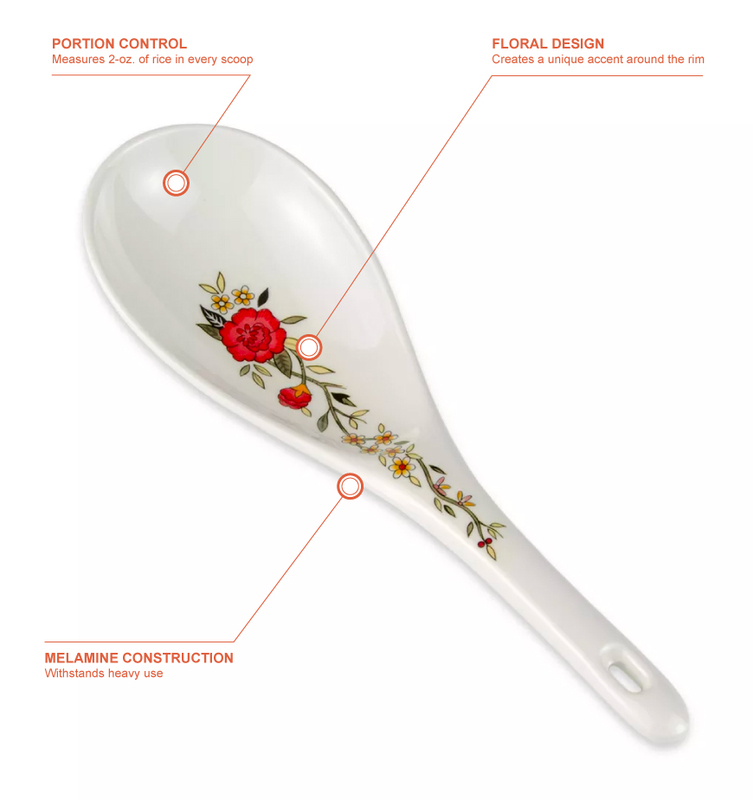 Made of durable melamine, the ladle is resistant to bending and breaking. Although the material is durable, it should not be placed in the microwave since it can chip and peel.